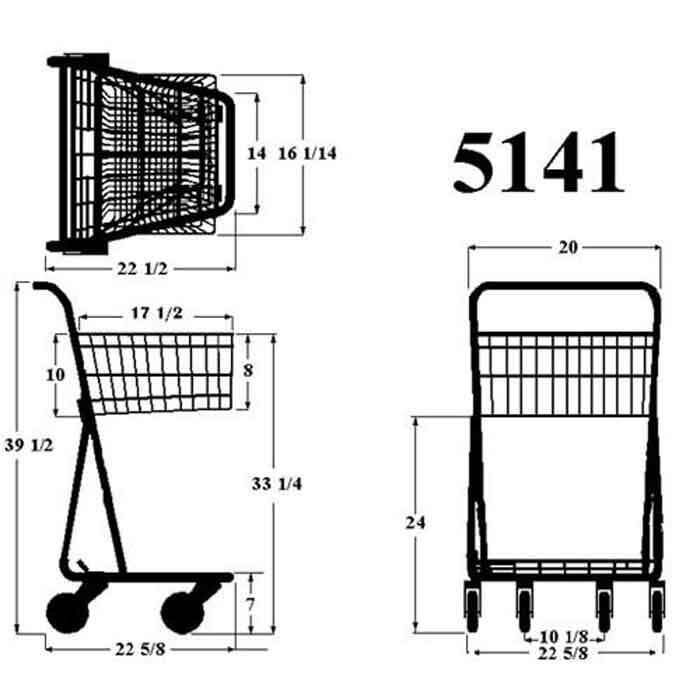 Convenience style one basket small wire shopping cart, wire basket, tubular metal frame, hinged nesting gate. Standard options include a lower tray, tech-seal granite grey coated finish, top corner bumpers, plain handle in five colors. NOTICE: The manufacture is discontinuing the flat gray finish and going forward the standard is a slightly darker granite grey finish. * Delivery times may vary and are not guaranteed. Handle Print - There is a one time $100 die charge when adding standard block lettering on the handle. The print is white and there is no additional per item cost. On repeat orders, there is not a charge to add printing with an existing die. Order for standard carts with plain handles will normally ship in about a week. Orders with additional options will typically ship in 2-3 weeks. We do not offer direct ordering and payment of this item on our web site. Please use the "Quote" tab and the "Quote" button to view quantity specific pricing and to request a shipping quote. 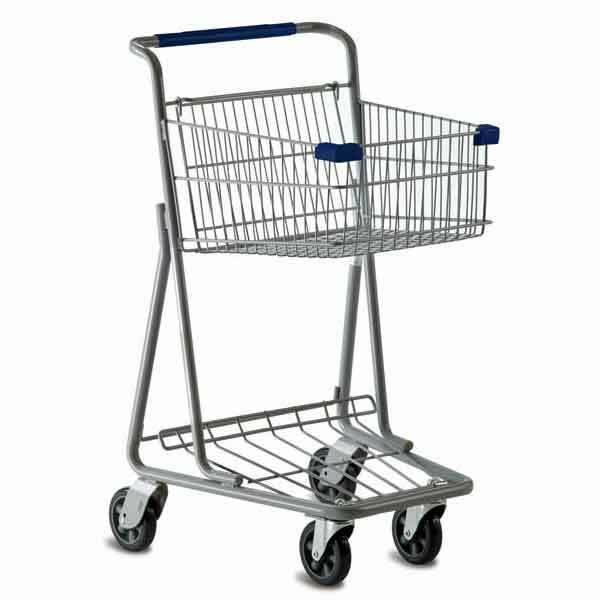 The retail carts ships fully assembled by LTL truck carriers and are not sold individually. We have to manually calculate the freight charges and prefer to provide you with detailed quote for the items delivered to the address you provide. Our "Quote System" does not ask for any payment information and provides you with an efficient way to find pricing for our products and then request a shipping quotation to deliver the carts to your place of business. Our "Quote System" is very efficient and is the same system we use if you call in to request information. Copyright © Premier Carts, Inc. All rights reserved.